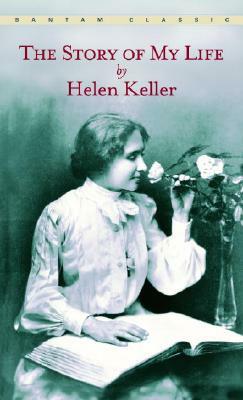 HELEN KELLER was born on June 27, 1880, in Tuscumbia, Alabama. At nineteen months old an acute ilness nearly took her life and left her deaf and blind. At the recommendation of Alexander Graham Bell, her parents contacted the Perkins institute for the Blind in Boston, and Anne Sullivan was sent to tutor Helen. The story of their early years together, and Helen's remarkable pyschological and intellectual growth, is told in The Story of My Life, which first appeared in installments in Ladies' Home Journal in 1902. With Anne Sullivan, "Teacher," at her side, Helen Keller graduated from Radcliffe College in 1904, an extraordinary accomplishment for any woman of her time. A women's-rights activist, a socialist, and a world-famous celebrity, Helen Keller received the Presidential Medal of Freedom and many honorary degrees. Her other books include The World I live In (1908), Midstream: My Later Life (1929), Helen Keller's Journal (1938), and Let us Have Faith (1940). She died in 1968. Her burial urn is in the National Cathedral in Washingtion, D.C.